"The Match Girl" for BBC "The Break"
My First Short Drama for the BBC is now available to watch online. Please check it out! 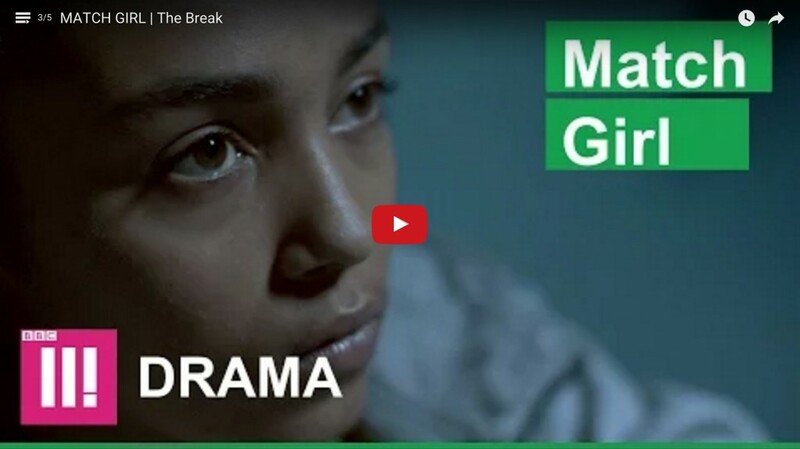 “The Match Girl” is a short monologue piece commissioned for “The Break” – a new drama collaboration betweenBBC Three, BBC Taster, and the BBC WritersRoom. You can watch it and rate it for the next three months online at BBC Taster. I am hugely grateful to be a part of this. I learned a ton and was blessed by an amazing production team. “The Match Girl” was produced by Rachelle Constant, directed by Zam Salim, DP’d by Kate Reid, edited by Arttu Salmi, and stars Jasmine Jobson. There are also 4 other brilliant shorts by 4 other writers: Charlene James, Inua Ellams, Sabrina Mahfouz, and Rena Dipti Annobil. So please go and have a watch, share, comment, rate, whatever else comes to mind. THANK YOU! Tagged bbc, bbc writers room, bbctaster, bbcthree, film, jasmine jobson, short film, The Break, the match girl, tv, zam salim.